Jey STUDY is leading study abroad company on Russian market. through direct sales and wide network of sub agents. Do you want students from Russia? We will bring you enough Russian students. With over 2 500 student weeks per year we are one of the top Russian study abroad companies. 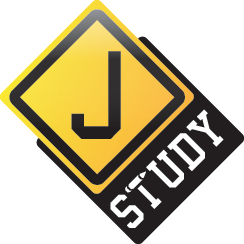 Jey STUDY was founded in 2007. Our team is experienced, visited many countries and schools. Our offices are located in 4 main Russian cities: Moscow (12.5 Million), St.Petersburg (5.5 Million), Rostov-on-Don (1.2 Million), Ekaterinburg (1.5 Million). Subagent network covers 60 Russian regions. Over last 10 year we sent over 7 000 students. Our database is over 50 000 contacts and about 50% of our sales is from our work with our contacts. We always try harder. It is our approach to everything we do. Each year, since 2014 we have 30 to 50% growth rate. We are one of the few study abroad companies in Russia who are registered as tour operators as it law requires. Work with established companies and do not spoil your reputation. Jey Teachers Forum Russia is our signature event designed to present educational programs for teachers and group leaders who are traveling with their groups. Language group travel abroad is the major Jey STUDY market that gives us 60% of overall student volumes sent abroad. Teachers are our most loyal partners. They value our expertise and comfort business practice. BONUS for all participants: Free publication in brochure for 2018 and free listing on website. Our mission is create unlimited future for next generations.